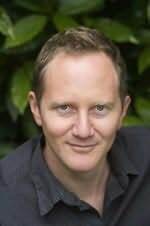 Chris Cleave is a novelist and is currently moonlighting as columnist for The Guardian newspaper in London. His debut novel Incendiary was an international bestseller published in 20 countries to awards and critical acclaim. A controversial open letter to Osama bin Laden,Incendiary gained notoriety for the macabre coincidence of its UK publication on 7th July 2005, the day of the London terrorist bombings. Inspired by his early childhood in West Africa and by an accidental visit to a British concentration camp, Cleave’s second novel is entitled The Other Hand in the UK, Australia, New Zealand and South Africa. It is entitled Little Bee in the US and Canada. "An enthralling, lucid and superbly confident work of art that grips from the first page... This is a big novel and a masterful debut." "I hugely recommend. Gentle, compassionate, unusual, and thought-provoking. Expected a fun read and got something better." "An absolute knock-out - had me laughing again and again." "A masterpiece... utterly heartbreaking and impossibly beautiful." "Anna Raverat is a humane and generous writer, giving voice to our best instincts and communicating, by quiet and often funny moments, a sense of our ability to overcome adversity with love." "Authentic and beautiful, urgent and honest, this novel does what only the best do: it quietly makes room in your heart." "Singular, spectacular, and touchingly tenacular." "Sublime - calm, profound, beautifully controlled and with startling splashes of colour." "Superb. She had me at page one."